Following 2 EPs which shake sound-synstems ( Heavy this Year and Diskodub ), and several featurings with Chinese Man, DJ Wadim or Manu Digital, Tawain MC is back, stronger than ever, with their first album "Cool & Deadly" ! If he already gathered numerous artists on "Heavy This Year", Taiwan MC emphasizes once again on the diversity and the quality of his featurings. 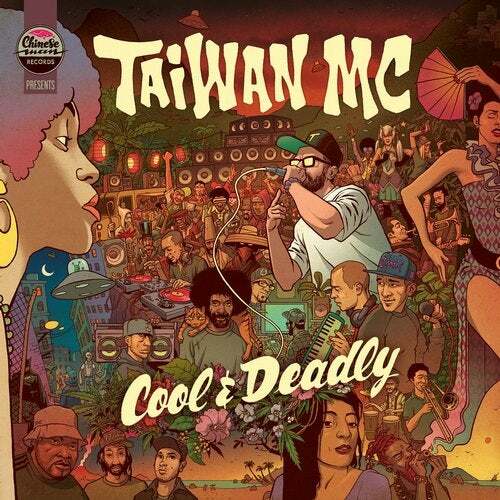 With "Cool & Deadly", Taiwan MC delivers an achieved project, mixing reggae's nuances and colours, but also hip hop, dub and electro music's diversity, and shows at the same time the wideness of his vocal capacity, between singer and MC. Once again, we have a significant prove of his performer talent.